Guys please don't get confused.. 1. Double tap wake up is based on proximity sensor.. Keep your hand away from it. 2. No wireless charging. 3. Its good that there's no glance, it burns the pixels. 4. WCDMA means 3G. .. Its a good phone..
what a smartphone.awesome camera,superb display and touch,superfast and most importantly excellent battery.Used internet for 9 hours continuously in Airtel 2g and still 15% remaining and that too with sim 2 turned on..hats off Nokia.this will be best selling windows phone. go for it guys. only thing I miss is glance and camera button.Best mobile in this price category.forget about Moto g, bla bla..
i purchased it for 15200/- in poorvika mobiles.. Anonymous, 10 Oct 2014Got a few questions...on this dual sim device, ll whatsapp work?? Secondly what's d best data... moreWhatsapp works without any issues. I am using it in my L730. 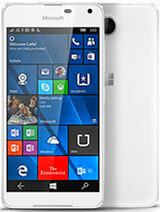 AnonD-317513, 10 Oct 2014this will replace my red lumia 720.. which color is best?I bought White. It looks elegant. Hey frndz in few days am gng 2 buy l730. 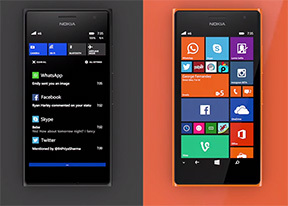 some people are saying what'sapp is not working properly in Nokia lumia 730 is it right. L730 users plz tell about its features Is better than android features or not. 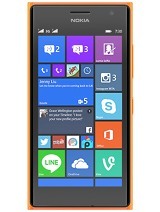 this will replace my red lumia 720.. which color is best? 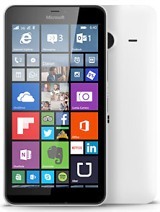 vish, 10 Oct 2014guys i bought lumia 730 yesterday. 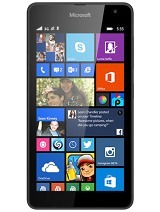 awesome phone.. i recommend buying from retail shop. its ch... moreAre you sure about wireless charging support ?? No where it's mentioned, and at most of the places, it's strictly a NO, then how ? Hi guys, I brought my L730 yesterday for 14.8k. I'm just loving it. Wonderful feeling in using it. But serious issues guys, I'm not able to connect to my home WiFi :'( I have Dlink modem. I'm able to connect to other devices but not to only windows devices. I'm not able to connect to my windows8.1 laptop also. Please help me out friends. Thanks a lot in advance. Hey thanx for your reply. But i didn't got that you said my os is new. Got a few questions...on this dual sim device, ll whatsapp work?? Secondly what's d best data plan nd network for wp users in nigeria? Third IS this fone available in nigeria yet nd how much?? What's the difference between their cover ? ?matte or glossy?? Whatsapp support sending video and pictures. But no mp3 sending. The orange one is glossy rest are matte there is a videos on youtube too. I am assuming the white is matte too.